In my last post I indicated that I would follow up on a specific issue that I see happening on a pandemic level – anonymous blocks. How did these become anonymous? Select and copy all of them with the right click and ‘Clipboard’ copy command or ‘CTRL-C’. Note: A slight step-up would be to ‘Copy with Basepoint’ (CTRL-SHIFT-C). Then Right-click and Paste as block. And that is how they get created! Now you see how they came to be. As far as why this is a problem, think back to above and how hard it is to identify them to insert another one. Of course you could copy and rotate the block each time you wanted another copy – which apparently some people do, verses inserting it and allowing the insert routine to offer scaling, rotating, etc… This is shoddy work in my opinion and does not do much for future drawing tasks. Hell, if you are going to do this, at least rename it to something that makes sense – which brings us to how to fix the ones we have. If you want to be able to use the anonymous block in future drawings (Great idea! ), you can WBLOCK the anonymous block out to a folder on your server or location where you keep your master blocks. WBlocking the anonymous block out will still require you know what the block name is, so I would recommend that you rename it first anyway. Figure out what the anonymous name of the block is. 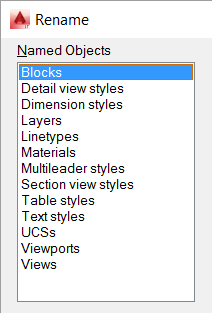 You can do this by highlighting the block and right clicking to see its ‘Properties’ OR use the ‘LIST’ command. LIST will allow you to copy the text from the command window and paste it into the next step, which saves some memory brain cells – cool! Pat yourself on the back for a job well done! 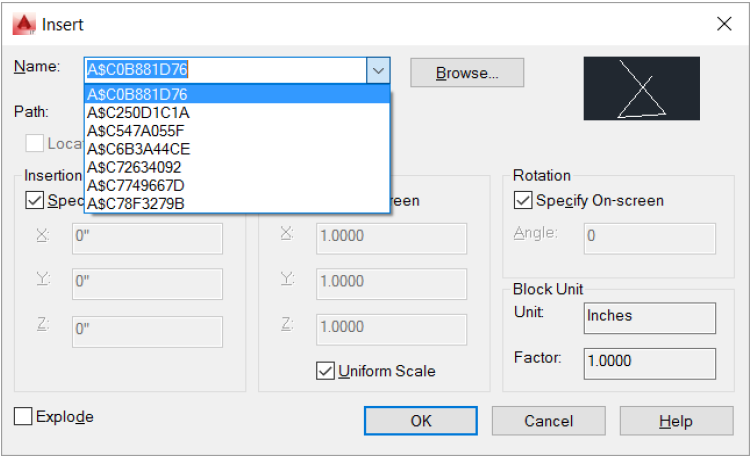 Now everyone that has access to that directory now can use the block in their drawings! So what’s next? What would you be interested in learning more about? Got an idea for a post? Email me and I’ll see what I can do.